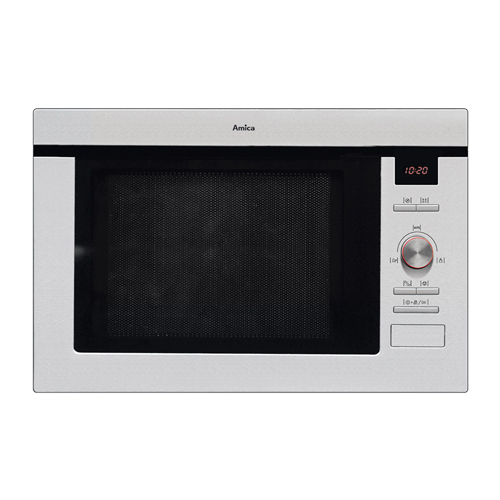 Integrated microwaves offer much more than quick and convenient reheating. If you want practical defrosting, extra cooking space and quick defrosting but like a clutter-free work surface, our built in microwaves are the perfect solution for kitchens that need clean lines and ultimate practicality. Add either a wall unit or built in microwave to your bank of integrated appliances for valuable extra cooking functions, space and speed right where you need it. 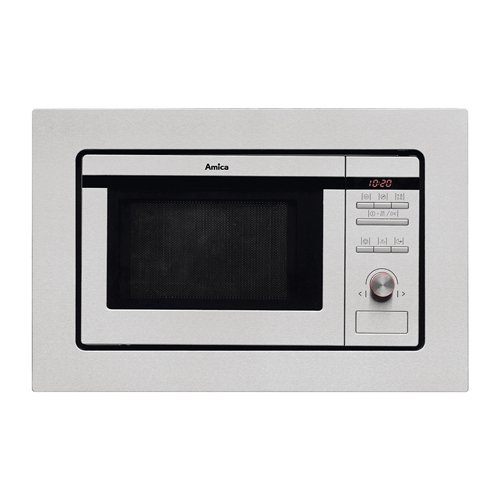 The AMM25BI is a built-in microwave oven and grill with features that include: auto/manual defrost, an LED timer, quick start, 5 power levels, acoustic end signal, safety key lock and a stainless steel interior. The AMM25BI also has 8 auto cook programmes available.